Central to the estate is our Lifestyle Centre with its extensive health and wellness facilities, including the healthcare and wellness centre and 24-hour frail care. This is flanked on either side by the single storey 1- and 2-bedroom garden apartment units for singles and couples who want to be close to the Lifestyle Centre. 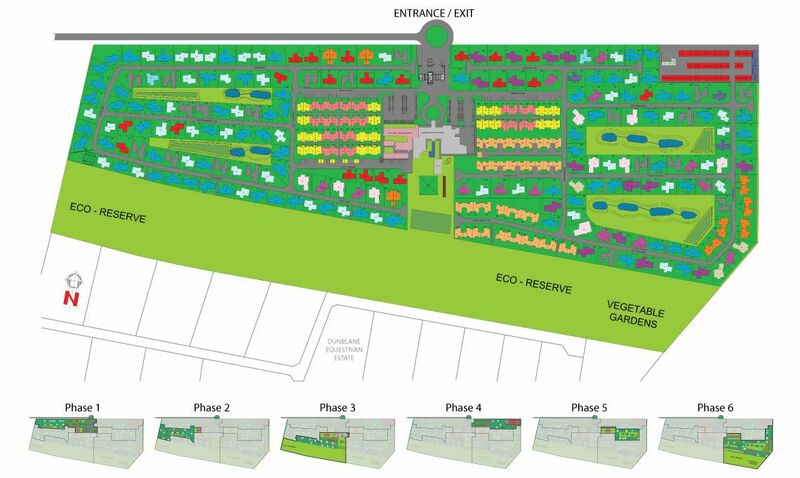 Radiating out from this are the 2-bedroom semi-detached units and 2-bedroom freestanding units, with the 3-bedroom freestanding homes forming two clusters on either side of the estate overlooking the landscaped parks planted with indigenous species trees and shrubs.